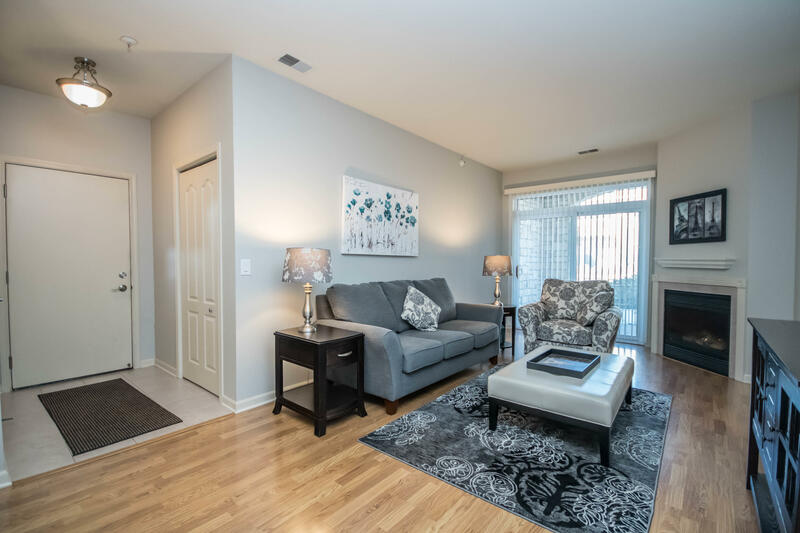 This first floor contemporary condo is in the quite and desirable Woodland Trails. It is move in ready for you to occupy with wood/tiled floors and carpeted bedrooms. Kitchen is glass tiled with under cabinet and above cabinet lighting. All appliances are less than a year old including in unit washer and dryer. Both bedrooms are large with a master bath. One car garage has an included adjacent parketing spot. Move in ready with no stairs. Close to the Oak Leaf Trail and Froemming park. Enjoy yourself this summer at the pool!